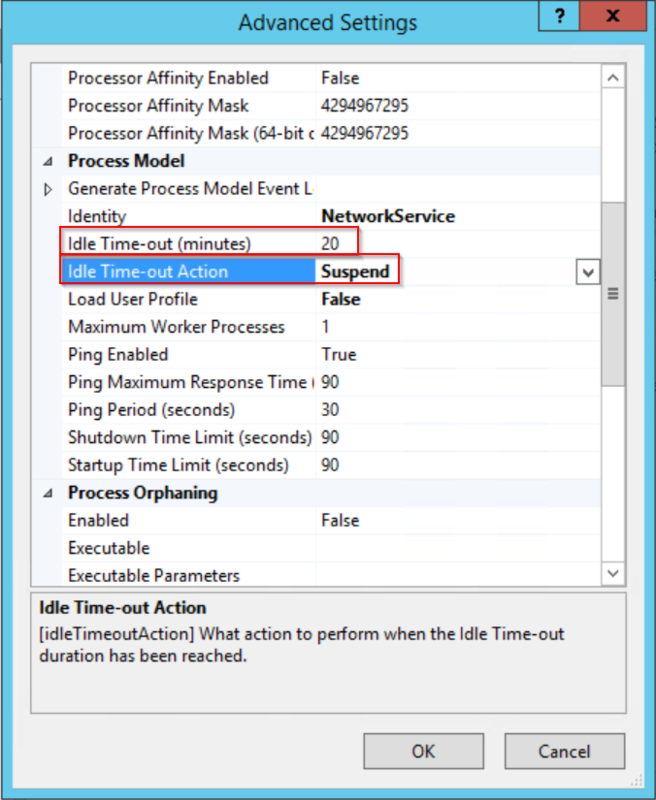 Description: Depending on the complexity of the page, hardware load, resource limits, and network latency, when trying to load a realm a user could receive in a timeout error, even though the page is still being loaded within IIS. Cause: When a IIS application pool restarts or recycles, it typically takes a long time for the first request to execute before a user will be displayed a page from the IdP, whether the access is for a realm or the admin console. A powershell script has also been added for your convenience in case this is a more plausible option to run. Please utilize the ShareFile link below to obtain the script. Please download and extract and then give it an administrative Powershell run. Special Considerations (optional as needed): Once IIS restarts, or when the application pool recycles, there is still a lead time needed for IIS to pre-load each page, and this can take up to a couple of minutes depending on the number of realms needing to be loaded. During this time access will still seem slow, so it may be a good idea to schedule application pool recycles to occur outside of normal usage hours.